A custom sand sculpture makes a beach wedding even more special. A sand sculpture is also a unique - and romantic! - way to say "Will you marry me?" 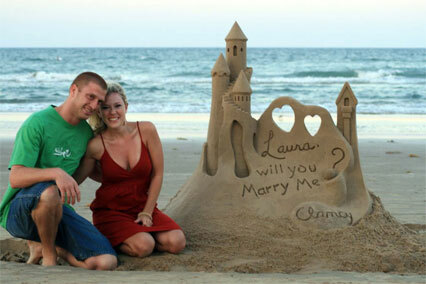 Here you will find a listing of master sand sculptors who specialize in beach wedding and marriage proposal sand sculptures. Scroll down to see if there is one in your area. We are located in the Tampa Bay area. Any Florida city south of Gainseville is considered local. want to get listed here? click to find out how!